← How Can International Freight Forwarders Streamline the Shipping Process? Choose a Suitable Method to Pick Order: A business can pick order from its customers in several different ways. Some of the most popular methods are discrete order picking (one item at a time, good for low volume), pick and pass order picking (orders are grouped into zones to minimize the walking distance), and batch picking (multiple orders are picked and processed at a time, good for large volumes). As each method has its own plus and minus points, you should choose one that is suitable for your business. Increase Customer Accessibility: Your customers are the ones who place the orders; so in order to get more orders, it is important to make the order fulfilment process easier, faster and more accessible. The forms must be easily available (whether online or printed), short and easy to understand, and requiring minimum information to be entered. Customers usually do not bother with difficult-to-find, hard to understand and lengthy order forms, preferring to go to another supplier/vendor instead. Use Autofills and Multiple Choices on your Forms: One thing all customers unanimously detest is having to fill out long and detailed order forms. To make the order fulfilment process faster and easier for your customers, use autofills, pull down menus and multiple choices on your forms. The less the customers are required to write or type, the more likely they are to place orders. Keep your Inventory up-to-date: Customers find few things more frustrating that having to wait for items that are out-of-stock. Since out-of-stock situations are unavoidable, make sure that you do not offer items that are not in the inventory or are not likely to arrive by the offer date. This requires updating your inventory records continuously and ensuring that all the data entered are correct. Keep the Communication Channels Open: Don”t make forms (whether online or printed) the only way for your customers to reach out to you. Never forget that it”s you needs them and not the other way round. Keep all the communication channels opens, including face-to-face meeting, telephone, e-mail and online chat. Communication is the key to building trust, which is the key to increasing orders. Maintain a Good Return Policy: Return policy is an essential part of order fulfilment process. 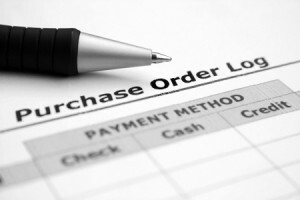 Your customers are more likely to place an order if you have is a good return policy in place. With so many suppliers/vendors they can go to, they don”t want to buy from one who won”t give a refund or exchange for goods that turn out to be defective. To make sure that your customers know your return policy and understand it, mention it clearly and unambiguously on your website and receipts.